Belarusian epic folk pagan metallers Wartha from Minsk have just released their new single “Heritage“, which is available digitally in their official Bandcamp page. 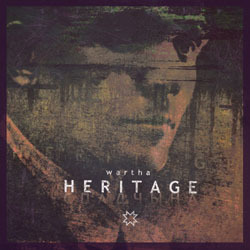 Their new track “Heritage” is dedicated to the national poet of Belarus, Я́нка Купа́ла (Janka Kupala / 1882 – 1942) nobleman and re-creator of the huge part of Belarusian language. This is the first time Wartha made a song with non-Slavic lyrics, so that their foreign listeners could understand and feel some of Belarusian poetry. V. Rich is the co-author of the lyrics and the one who made the English text.